The old sinful ways of this blogger were left to oblivion when he was converted to the true Church of Jesus Christ here on earth, The Church of Jesus Christ of Latter-day Saints, popularly known as "Mormons." 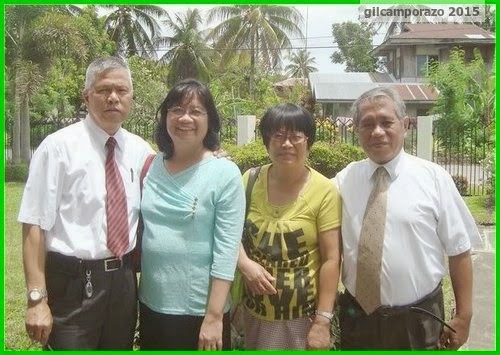 The blogger's interest to know more about the true doctrine of Jesus Christ was held in abeyance for almost a period of six years till he was ultimately proselyted, baptized and confirmed member of The Church of Jesus Christ of Latter-day Saints in La Carlota City Branch, Bacolod Philippines Stake sometime in 1980. Elder Arturo A. Tolentino, a soft-spoken full-time missionary of the aforementioned Church was able to track this blogger's residence at San Agustin Street, La Carlota City sometime in May 1980. Elder Tolentino with his foreign companion, Elder Wagner started teaching him the basic missionary discussions on the first principles and ordinances of the gospel, which may include faith, repentance, baptism, words of wisdom, the Prophets among others. In 20 April 1980, the blogger was baptized by Elder Tolentino at the pond of MC Lumberyard and was confirmed member of the Church by Elder Wagner at the Church rented meetinghouse, owned by the Uriarte (a prominent family in La Carlota) at corner Gurrea and La Paz Streets of this city. As the blogger maintained his membership with the Church, he was conferred the Aaronic Priesthood and ordained to the office of the Priest. He was given the authority to administer the Sacrament and to baptize. Through his exemplary actuations, he was able to convince his wife, Rebecca to join with him. In 22 June 1980, he baptized his wife. The longer he stayed with the Church, the better opportunity for him to offer his services. Thus her was called to several Church callings like the Secretary of the Elder's Quorum, the Branch Clerk, teacher of Elder's Quorum, Seminary and Institute classes, and he never neglected them all. Now as of this writing, he is a 35-year member of the Church. He knows that God has given him the opportunity to serve Him because of Elder Tolentino, a good shepherd who found him as a lost sheep in the "wilderness" and brought him back to the fold of the Lord. For him and his family, Elder Tolentino is really a good shepherd to them. He sent by the Lord to bring good tidings and to make them a "new creator", a "new being", a "born again" person. They know that he's called of God. He's among those "many who have been called, but few were chosen." 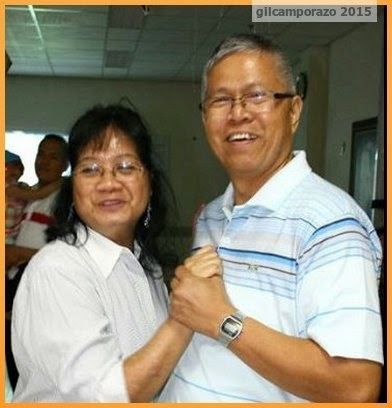 God bless you, Brother Tolentino and your family, Sister Juliet and your son, Bro. Joshua. I honestly thought I was going to read an article about Arturo Tolentino, the venerable politician who capped his career by accepting to be Marcos's last VP candidate. Your Mr. Tolentino is obviously close and dear to you by the way to describe him. Sorry for not catering to your expectation. In our country, there are a lot of similar familiar names. If you know well, Mr. Arturo M. Tolentino, Marcos' VP candidate, my brother in christ, Arturo Tolentino has Aala as his middle name. It sounds like he has been on quite the journey so far, wishing every success for the future. Wow, thanks for sharing your baptism. I believe the religion will do you good if you do good when in it. Good luck. God bless him and his family. Sounds like a wonderful man who is spreading God's love. The world needs more people like that. I'm pretty confused here, pardon my ignorance... But the blogger is in fact, you? I wonder why the need to write in 3rd person's pov? There's nothing to be confused with my testimony. God bless him for he is a kindhearted man and he made a right decision. We live our lives to serve Him and follow His eternal plan for us. Praying for his continuous devotion by returning to live with God. Amen for that. Amen. God do make wonders for those who seek Him. Minister Tolentino is a willing worker for God so do you Sir. Be as you are humble in the sight of god and be an instrument of God. Bring more souls to salvation. Judging on how you describe Mr. Tolentino, it seems he's a really nice guy. I hope your friendship will last a lifetime. I've met several people of this church/religion. I enjoyed talking to them. Profound people I should say, full of wisdom. Plus, we love hanging out with them, we get to play in the basket ball court they have at church for free! :-) Seems like you have a good family/brother/colleague here. It's nice to know more about your spiritual mentor and journey. He has really lived a life of purpose with his missionary works. Wish he have a greater life for making a right decision... Many great journey waiting ahead! Thanks for sharing, may you have a blessed journey with God. Hope to read more about this in your upcoming post. What a beautiful tribute to Mr Tolentino. I do hope you will share this with his family and friends. We need more men of God as leaders in the world today. Being given the honor to administer the Holy Sacrament and baptize people is a great honor and a great responsibility as well. Baptism gives you protection and the blessing of God. 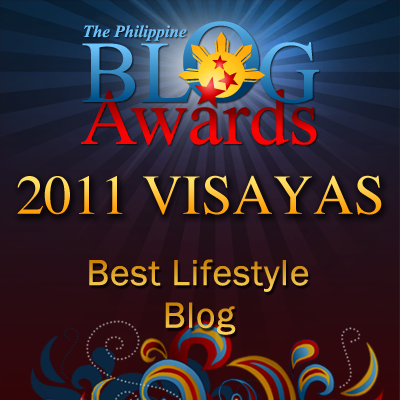 It's nice to read about Mr. Tolentino and your spiritual journey. God Bless You.